'As a writer it’s very daunting to be showing a work-in-progress - it’s something I expected to feel lucky getting out of alive! 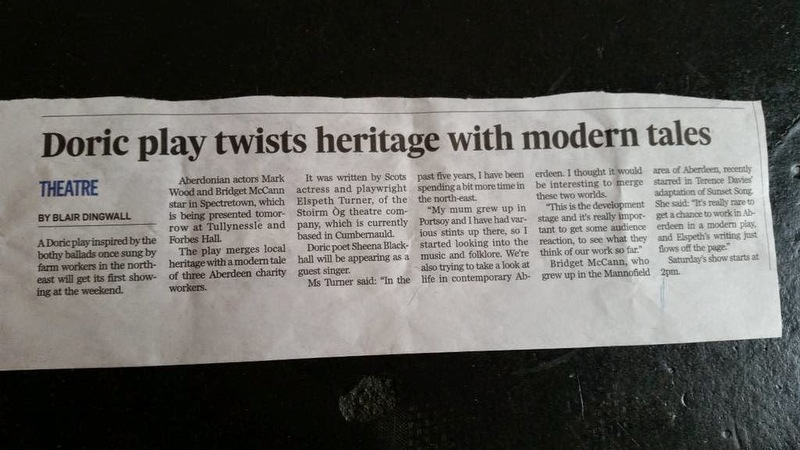 So I was really pleased when the Traverse offered to include my play, SpectreTown, in Hothouse – what better place to experiment with ideas in front of an audience hungry to see and take part in the development of new work than at Scotland’s home for new writing? Everyone on the Traverse team, from marketing to the technical staff, were brilliantly supportive. 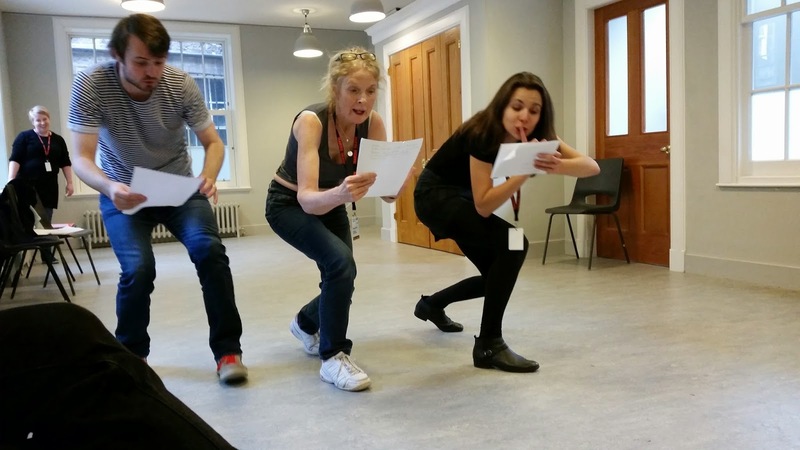 For emerging companies in Scotland, sharing the process of making the work along the way has become a vital part of building both audience and industry support as well as crucial funding. We found that being able to showcase this work at the Traverse elevated both the standard of expectation as well as our own ambitions for the piece. Big thank you to all at the Traverse for having us. Photos to follow! On Saturday we left home in the dark and made the trip up to the Tullynessle and Forbes Hall, near Alford. 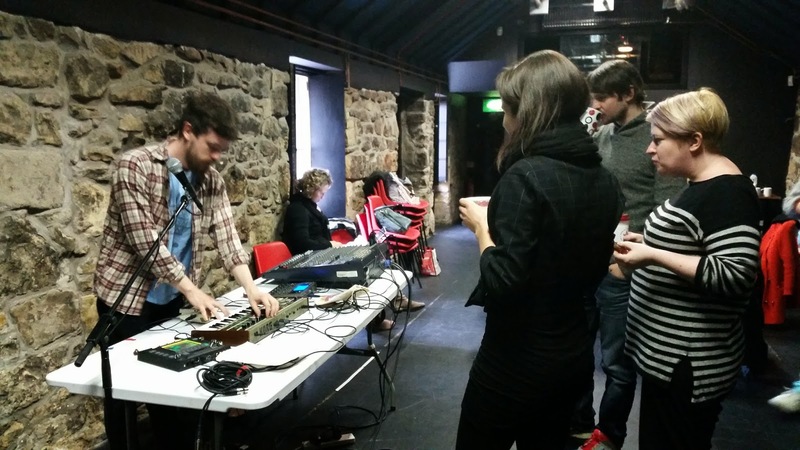 It was really important to us that we brought our work-in-progress to a local North East audience, though honestly we wondered if a) anyone would show up, and b) we would be run out of town for mixing bothy ballads with electronic music.....! In the end over 40 folk showed up, and we had such a lovely afternoon of new writing, songs, tea, scones, and tons of interesting chat! 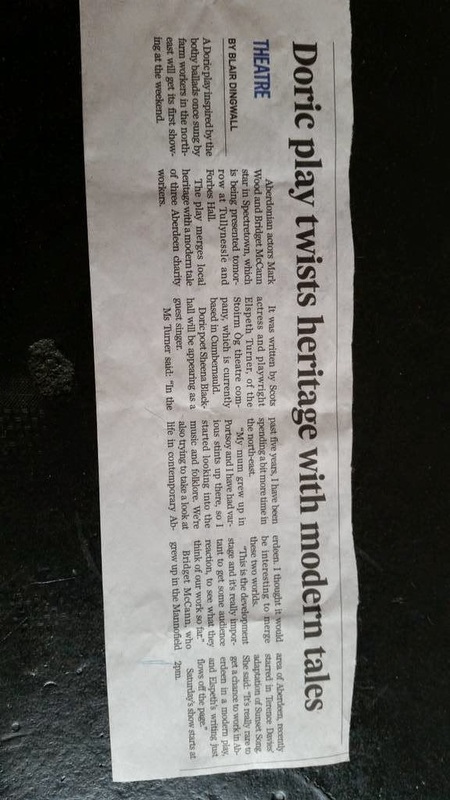 Thanks very much to Blair Dingwall at the Press and Journal for the chat, and the lovely piece! 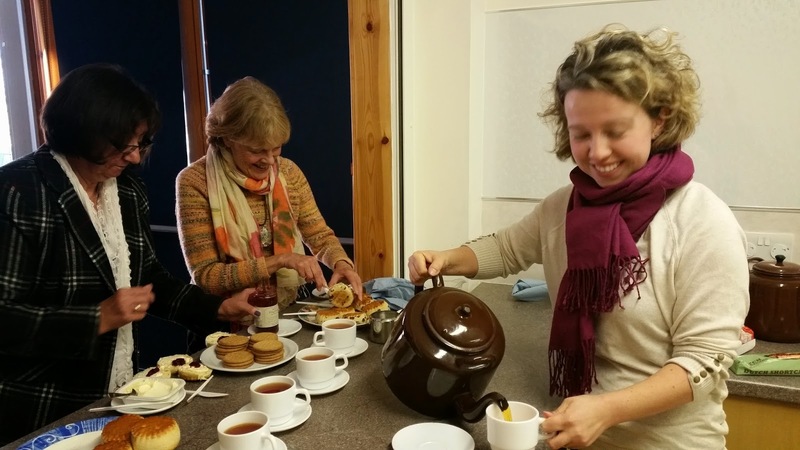 Great to talk with Doric speakers about the state of things for their own dialect. We were also honoured to have the wonderful Sheena Blackhall join us to sing some bothy ballads - one very sad, and one utterly filthy....and there's nothing like seeing a polite crowd sing along to a song like that.....brilliant! We'll be posting videos shortly so watch this space :-) In the meantime, Aiyana's getting the tea on! Thanks to everyone at Cumbernauld Theatre for hosting our development week, and for all the ongoing support of our progression as a company. See you again soon! Off to the Traverse, then up to Tullynessle! Work continues on our new play, SPECTRETOWN. 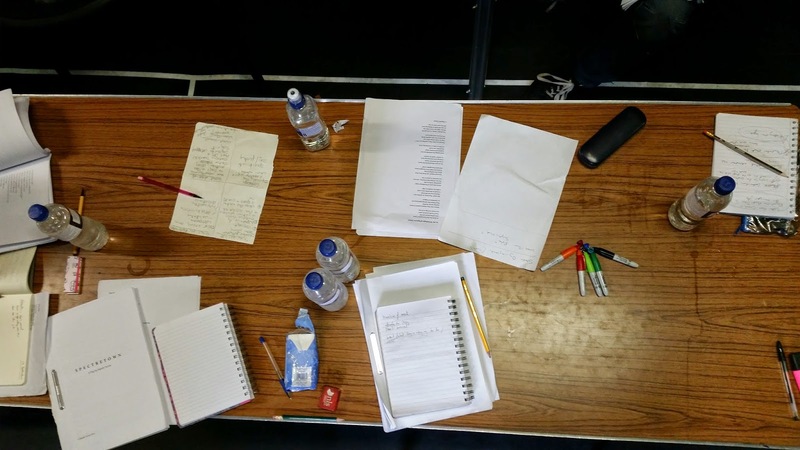 This week we'll be in development at Cumbernauld Theatre studio, and at the end of the week we'd love to share our work with YOU! We're really excited to be sharing a work-in-progress this coming Friday, the 24th of October at the Traverse in Edinburgh. Click here to book! On Saturday we're heading up to the Tullynessle and Forbes Hall, Alford. We're really looking forward to sharing some ideas, songs, and good chat with local audiences. Maybe we can practice our Doric too :-) This event if FREE! Click here for more details. Big thanks to Creative Scotland, Cumbernauld Theatre, The Traverse, NEAT, and Tullynessle and Forbes Hall for supporting this development. I met Sevi through the excellent Cultural Enterprise Office, who introduced me to her as someone in need of a wee bit guidance and mentoring! What I loved about Sevi from the off was her positive, direct, and aspirational approach to theatre-making - especially when it came to new artists getting started. When I told her that at less than a year old, we wanted to tour The Idiot at the Wall (i.e. 8 people on the road) around the Highlands and Islands, she championed our spirit and immediately set us on our path with incredibly good advice on how to actually do it. #positivityrules. As producer and manager of one of Scotland's most powerful forces in theatre, Vanishing Point, Severine has mountains of wisdom and vision to offer on making theatre happen. I'm so thrilled and honoured to have her join our Board and am excited to work together some more. Thanks Sevi! 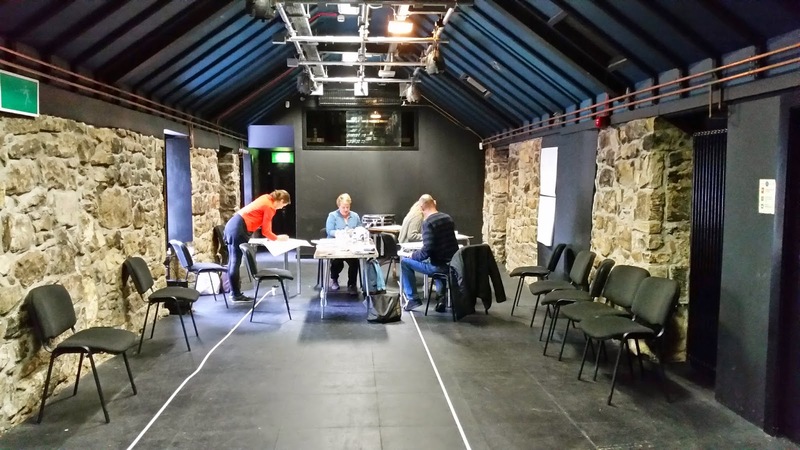 If you are passionate about theatre and are interested in joining the Stoirm Òg Board of Trustees, feel free to get in touch with us at stoirm.og@gmail.com We are particularly interest in hearing from those with a background in Finance. If you are interested in joining us through the Arts and Business Scotland Board Bank programme, contact Catriona Reynolds at catriona.reynolds@aandbscotland.org.uk Many thanks to Catriona and Arts and Business for their support. Cumbernauld Company in Residence announced! Today we are so thrilled to announce that we have taken up the post of Company in Residence at Cumbernauld Theatre. 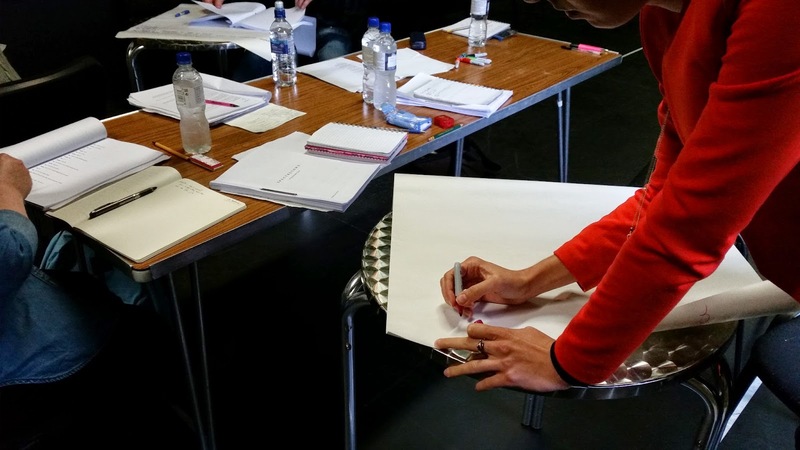 Over the next year we will be working with Cumbernauld to develop new work, grow and move forward as a company, and explore new working practices. We are being mentored by the theatre's brilliant Artistic Director, Ed Robson, whose passion for theatre and tenacity of approach is massively inspiring. The culmination of the residency will be the premiere of my new play in co-production with Cumbernauld at the Fringe 2015. Stay tuned for more news, and if you haven't already, follow us on Twitter for all the latest! Click here for more information about The Cumbernauld Theatre, including its exciting new building project! Stoirm Òg is growing again! I'd like to extend an official welcome to our new Producer, Claire Brogan. For the past few months, Claire has been doing brilliant work alongside Aiyana and myself, focusing on development and fundraising. I'm massively excited to have her join us as we move the company forwards in what is turning into a super-exciting year! Claire is a freelance Producer and Development Manager from Fife. She studied English and Drama at Manchester Metropolitan University and then subsequently completed a Post Graduate Diploma in Arts and Cultural Management at Queen Margaret University in Edinburgh. She began her Arts career working for Live Nation, in a range of venues from the Edinburgh Playhouse, Sunderland Empire, Palace Theatre Manchester and the Motorpoint Arena Cardiff, in a variety of management roles. Claire comes to Stoirm Og after five years working as Business Manager at Cumbernauld Theatre, bringing with her a wide range of skills and experience in Business Management and Planning, Finance and Fundraising, and Touring and Project Management. I'm off to Australia!! See you in February! !